Many software packages provided by the College of Engineering are licensed as floating node licenses. If a software package has 25 or 100 licenses, this means that while you can install the software on as many computers as you want, it can only run on 25 or 100 systems simultaneously. We try buy enough floating licenses to cover the expected usage. If you have trouble obtaining a license for one of these applications, please contact admin@eng.auburn.edu. When the software application starts, it contacts the appropriate Engineering license server to check out a license. This means that the computer you are using must be online when you use the software so that it can contact the license server to check the license out and in. There is a further restriction that you must be on the College of Engineering network. The Engineering License Servers are not available outside of the Engineering network. There is a technique that allows you to create a secure tunnel to the College of Engineering License Servers so that you can check licenses out and in. You must install SecureCRT on your PC. Before starting your application, you start SecureCRT and log in to the College of Engineering network (you must have an Engineering username/password - which all students, faculty and staff will have). The SecureCRT session must also tunnel certain ports from your PC to the Engineering License Servers. When you return to the Connect window, right-click on the session you created and choose Properties. Launch SecureCRT and double-click the session you created above. 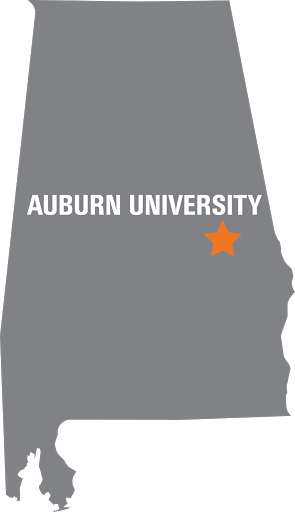 Enter your Auburn username and password. If you are prompted to Accept a Security Certificate for the Engineering host, you should type "yes" and press Enter. Next, you will have to enter your password again. Minimize the SecureCRT window but leave it connected. Start Matlab on your local PC. SecureCRT will intercept the license checkout request and forward it to the Engineering license server.